If you have been planting different varieties of succulents whether as a personal hobby or for business, you may be wondering when it’s time to propagate them and grow new plants from your existing ones. 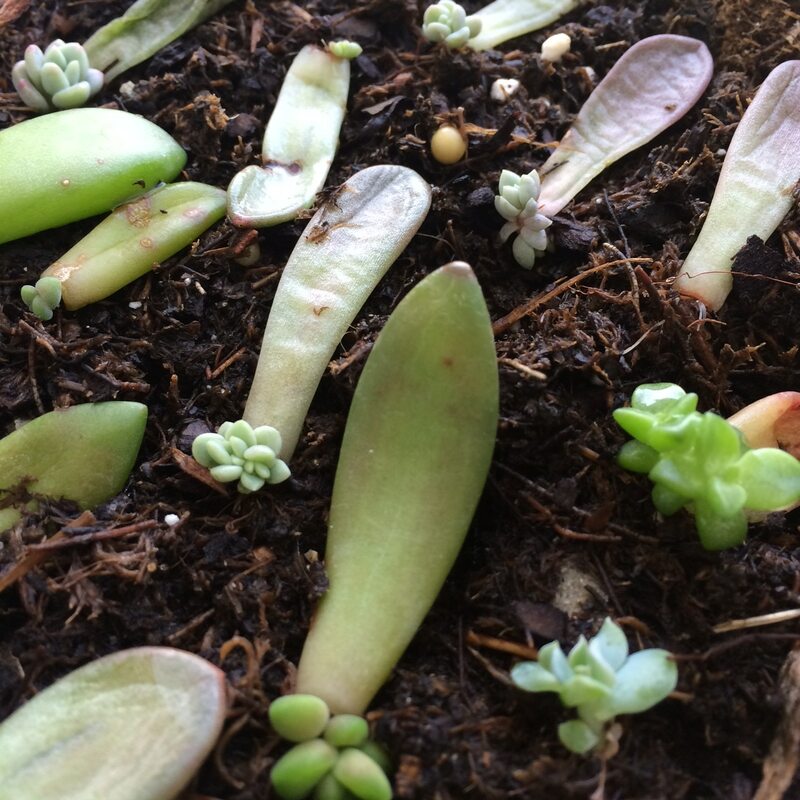 The process of propagating succulents is actually a fairly simple one. As long as you have the proper knowledge (which you can learn on the internet) and these seven tools, you will be propagating succulents well. Anyone who wants to propagate succulent plants should have two kinds of sharp shears in his or her toolbox. You will need pruning shears and trimming snips in order to get into tight places such as the lowest stem of the plant. Using the proper shears is important when cutting succulents because you may damage the sensitive plant tissues with a blunt pair of scissors. 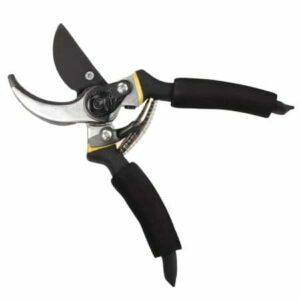 You should invest in a high-quality shear because this could damage your plants with even your trained hands. A knife is needed if you are propagating tough agaves, cacti, or other plants with a dense core. You have to try different kinds of knives before deciding on which suits your needs. Just remember to have a sheath for this tool because accidents do happen in the garden. When choosing a knife, pick one that isn’t heavy and that has a firm but easy grip. There are really expensive options out there, but we’re sure you can find the one that fits your budget and your needs. 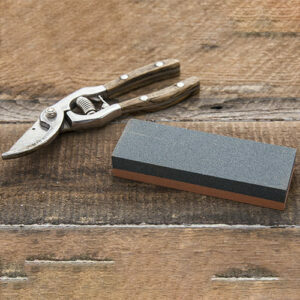 Clean tools are essential to propagating succulents. Use an alcohol to clean the tools before and after using them. A clean blade will ensure that no infection or disease will be passed between the plants. Simply apply rubbing alcohol to a piece of cloth or paper towel and wipe the blades clean with it. 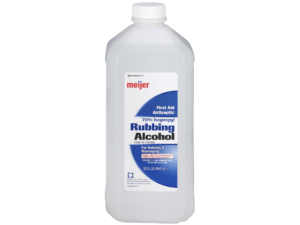 Use the alcohol to clean your hands before and after removing your gloves too. Spiny agaves and cacti might cut or prick your skin. Some succulents also have poisonous saps that should not come in contact with your skin. 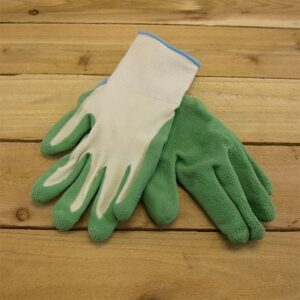 Protect your hands and yourself by wearing leather gloves or gloves with a rubber layer. There’s nothing more annoying than working with blunted shears. Keeping your tools sharp is as important as keeping them clean and dirt-free. A dull blade can damage the leaves and the tissues of the plants. If you have to cut a succulent plant, you have to do it in one swift motion. You need a light, well-aerated, and well-draining soil to make sure that the succulent plants will thrive. 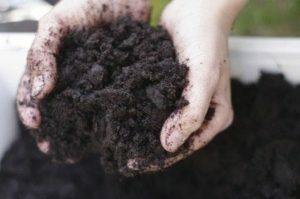 The roots must easily penetrate the soil, and this can only be accomplished when the soil has large particles that can move around once the roots begin spreading. 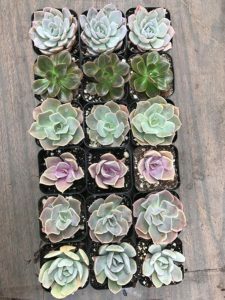 Cell trays are incredibly important when propagating succulents because you can start the plants small there and transfer them to bigger succulent pots or containers once they have thrived. Flats are useful for leaf and seed propagation and they make everything look organized. It’s that time of the year again when we can take out all those accessories and decorations for the 4th of July parties. If you don’t already know, succulents like CAL Farms 2″ Beautiful Assorted Variety Succulents are also great attention grabbers. 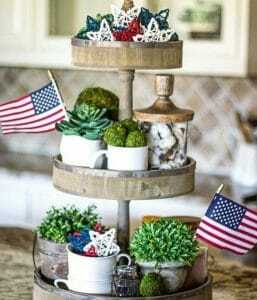 If you want your party to stand out, you might have to incorporate 4th of July decorations with succulent plants. It’s red, white, blue, stripes, and stars. How could these decorations be complicated? If you already got existing pots and containers, all you need are paints and paintbrushes. If you’re good with your hands, simply paint the colors of the American flag on the containers. That will put a touch of patriotism in your succulent decorations. You don’t even have to take out the whole plant for you to paint on the containers. Just simply put the container on top of an old newspaper and paint away. 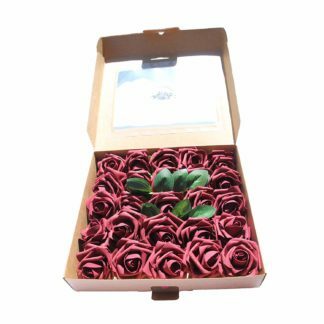 You could also search for a star-shaped container and plant different types of succulents in them. The overall look would be similar to a wreath and you could even turn this into a vertical garden. You can put them up on your door, so your guests will see your patriotic decorations as soon as they arrive. The simplest way to incorporate patriotism into your succulents decorations is through the use of ribbons and flags. Print out mini flags and put them on toothpicks. You can then stick these into the pots and containers. That way, the flag will be noticed along with the plants. You could also use red, white, and blue ribbons and wrap them around the containers and the pots. You could even tie the ribbon on the “branches” of the succulents. Print out different quotes from your favorite American heroes and past presidents. Okay, just print the ones from our forefathers. You could even turn this into a quiz night where your guests could guess who said the particular quote. If a quiz night is not your thing, you should simply put up the quotes to remind your guests about the real meaning of Fourth of July (because surely, it’s not just about barbecues and beers). You should never put stickers on the succulents, but maybe you could stick these decorations on the containers or the holders. There are many Fourth-of-July-themed stickers that you can buy in bookstores. They could easily transform your succulents into July 4th decorations. There are different kinds of succulents. Everyone loves looking at these plants, so it’s very easy to decide which succulents to choose from in your 4th of July parties. Succulents come in different colors, too. This means you can choose succulents of the blue, white, and red varieties. By simply mixing these colors together, you could create a look that’s very American. Another interesting idea is to make a “container” that looks like the American flag. There should be slats for the “stripes” and a big empty square on the upper left corner for the “stars.” You can fill these up with the succulents of your choice (as long as they are of the right colors). 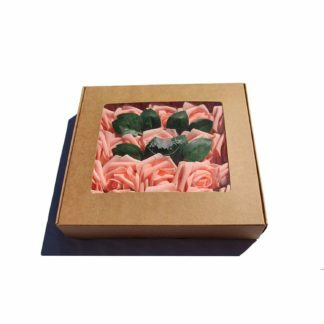 Having succulents like CAL Farms 36 of 2″ Beautiful Rosettes Succulents Weddings or Party Favors or Succulent Gardens in or outside of your house is cool enough. What makes it cooler, though, is the pots that they come with. 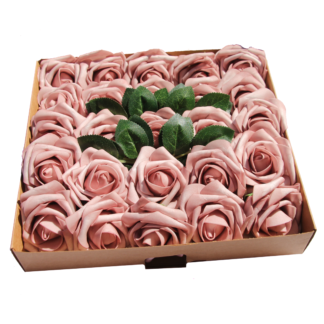 The different colors and textures could make everyone, even the most anti-plant person in the world, fall in love with. The common materials used for succulent containers are ceramic, plastic, wood, metal, and glass. Which material for succulent containers do you like best? Which material is ideal for your garden? In order to determine what kind of material you must choose, you must first identify the climate in your location and the arrangement of the succulents in the pot. 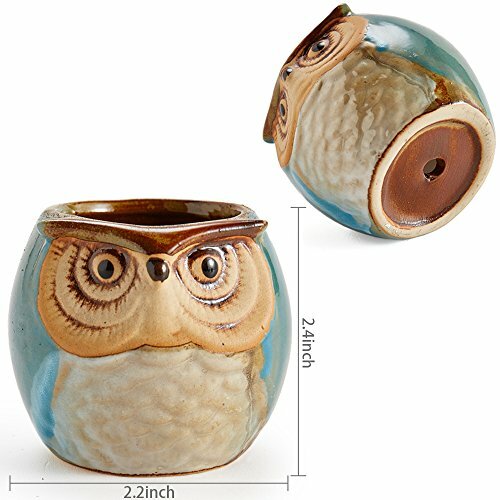 Ceramic and terra cota pots like 6 In Set 2.5 Inch Owl Pot Ceramic Flowing Glaze Base Set Succulent Plant Pot Cactus Plant Pot Flower Pot Container Planter are both breathable materials, which means that they work best in areas that do not get a lot of air flowing. You can use them both for indoors and outdoors. However, if you’re going to use it for outdoors, you must be careful about putting it under direct sunlight because ceramic can get very hot and might dry out the plants. The hard thing about using terra cota or ceramic is they can be quite heavy, so it’s difficult to move them to other places in your garden. These types of pots are also fragile, so you have to be careful moving them around. Plastic is another option for succulent pots. Unlike ceramic, plastic pots are lighter, though they are a lot less breathable. Water does not evaporate to well in plastic pots. If you use a well-draining soil, that is one solution to the “breathable” problem of plastic pots. This shouldn’t be a big issue for planters because plastic pots have a range of colors and sizes and designs that it’s hard to ignore them. Another interesting material to use for your pots is wood. You can use a driftwood to house your succulents. This is one of the best options for outdoor gardens because it can survive under direct sunlight since it stays cool and retains water. However, if you’re planting in an area with less sunlight and airflow, you will notice that wood can easily rot or keep your soil wet for too long. It may also break down over time. Wood may not last as long as ceramic, plastic, or other kinds of pots. But if you choose the area for it well enough, it can make your garden look gorgeous. You can use metal, yes, but you have to be extra careful about this material because it changes temperature and can heat up the soil quickly. Metals can also rust, unless the pot was specifically made for planting. If it is not, the rust will be unhealthy for the succulents. Using glass as decorative piece for your succulents is a great idea. However, you must remember that glass doesn’t have drainage holes. You’ll have to drill holes in them. It is not as breathable as other materials, too, meaning that unless your container has a wide opening to allow a lot of airflow, glass may not work as a material for your succulent pot. It can also get dirty easily, so you’ll have to clean it every chance you get. An interesting thing about finally deciding to start your own succulent garden is choosing the pots and containers that go with it. The thing about pots for succulent plants like CAL Farms Beautiful 36 of 2″ Assorted Succulents is that they are so diverse and they come in many different sizes, textures, and colors that it can be difficult to pick just one out of so many. Over the years, we have come to realize that choosing the right pot for succulent plants is not only a matter of aesthetics. There are many things to be considered when choosing the right container, particularly the health of the succulents. The aesthetics will fall second to making sure that the plants will have enough drainage. If there is only one thing you can take away about the proper choosing of succulent pots, it’s this. Choose one with holes on the bottom for drainage. This will help you measure out the right consistency of watering the succulents. If you have a tendency to water the plants too much, these drainage holes will help keep your plants alive long enough for you to get it right. If you find a pot that you love but doesn’t have drainage holes, do not fret because there’s a solution to that. Simply drill three to five small holes on the bottom of the pot. That’s enough to drain any excess water that the plants don’t need. 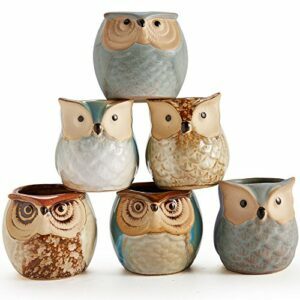 You should consider the material that your pots are made of. The most common materials are ceramic, plastic, metal, glass, and wood. All of these have their own benefits and disadvantages, so choosing the right material will depend on where you plan to park your succulent. Ceramic works best indoors because the material is breathable, which means it can be used in locations where there is not enough air. 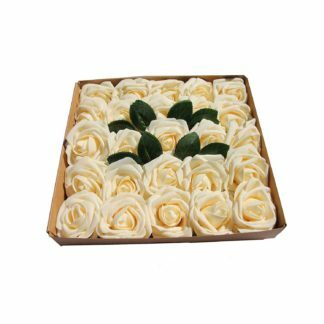 Plastic is not as fragile as ceramic but it is a lot less breathable and water does not easily evaporate in plastic pots. But if you are going to use a well-draining soil and there are drainage holes in your pot, you will do well with plastic pots indoors and even outdoors. If you want to make your succulents stand out, you may opt for wood as planters. You can use a driftwood to plant your succulents in. 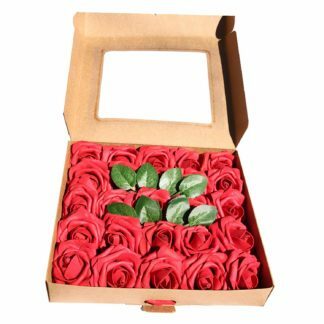 It is ideal for hot environments because it stays cool and retains water. After making sure of the drainage and the material, the fun really begins because you can be as creative and adventurous as you want to be. It depends how you want to go about this—either you choose the pot that will complement your succulents or you choose the succulents that will complement your pot. It’s hard to tell what size of pot you need for a particular succulent. Even if you know that the succulent would grow big, you are still not sure how rapid the growth would be. The rule of thumb is to keep half an inch of space to allow the succulent to grow just right. If there is too much space, the roots will branch out but it would be hard for the succulents to keep up.